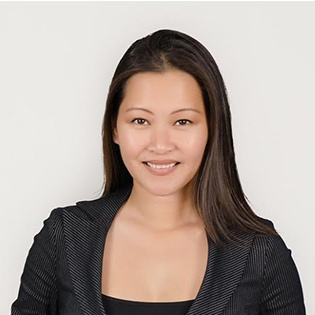 A seasoned executive recruiter, Jenn Nguyen studied to become a paralegal at The University of Hawaii. After five years as a senior paralegal, Jenn decided to explore the next phase of her professional development in Sales and Marketing, which allowed her to later combine her skills when she co-founded a small business and acted as the de facto Chief Operations Officer. Eager to work more intimately and directly with people, she then joined The Art Institute as an Assistant Director of Admissions. There, she was able to help individuals pursue their own professional careers, and found personal fulfillment in those success stories. Though she enjoyed her time guiding students, she wanted to further develop her career and tackle a new arena – recruiting. She learned the business and found her way into CyberCoders. Jenn’s background naturally lent itself to recruiting – an opportunity to intersect her years of professional experience and her desire to help others. The key to her success lies in her ability to listen and collaborate with both clients and candidates. Through that, she is able to provide end-to-end service and client/candidate satisfaction. Jenn now joins LTS as an Executive Recruiter, bringing with her a rich expertise in the practice of recruiting and relationship building. Though her particular area of focus is in technical recruiting, her reach spans several industries and and locations across the nation. She can also help you recruit for and has placed candidates in positions across other departments, including Information Technology, Engineering, Sales, Marketing, C-level Operations, Legal, Cyber Security and Accounting / Finance. In her personal time, Jenn enjoys the beach, yoga, cooking, traveling, being with friends and family, and eating. Born and Raised in Texas, she has been working and self reliant since the age of 14. She is fearless, strong, and a proven survivor who works hard and will do what it takes to get the job done. She also loves a challenge, just send her your hardest to fill jobs and you will start receiving qualified candidates. ** UI and UX -- design and architecture. ** Project Management: Interactive and Digital PM's, Producers, and Product Managers. Business Analysts and Information Architects.